Plumb Pro of WNC provides professional installation and maintenance of water treatment equipment. Have you ever wondered why your plumbing fixtures have brown stains? Or maybe you have blue-green rings in your shower. What about that sulfur smell in your water? Don't like the chlorine taste and smell in your city water. 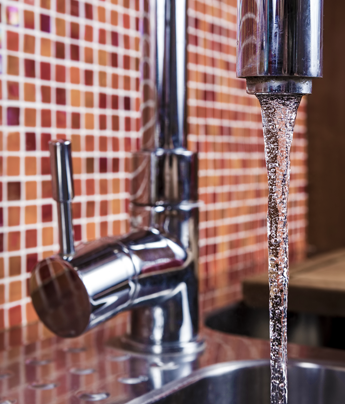 Plumb Pro of WNC can design and maintain a water treatment system to meet all your needs. Looking to get a water treatment system installed in your home or business Plumb Pro of WNC can help. From a basic water softner to a multi-tank iron removal system, we have the experience and equipment to handle the job. Not quite sure what system is right for your home or business? We've got you covered with our free on site basic water analysis and installation consultation. Since, Plumb Pro of WNC is a licensed plumbing company you can rest assured your equipment will be installed to meet all NC plumbing codes. Plumb Pro of WNC offers regularly scheduled and emergency service for most major brands of water treatment equipment. Whether you need a sediment filter changed every month or your entire system rebedded, we can help. Did you buy a house that already has equipment and you're not quite sure what you need we can help with that too. Maybe you're just tired of carrying those heavy salt bags for your water softner, let us take over. Simply give us a call or fill out the online consultation form to get set up for service today.